The Federal Inland Revenue Service generated a total of N1.17tn in the first quarter of this year from the collection of various taxes, according to official document. This was a significant rise over the N778.19bn recorded in the corresponding period of 2017. 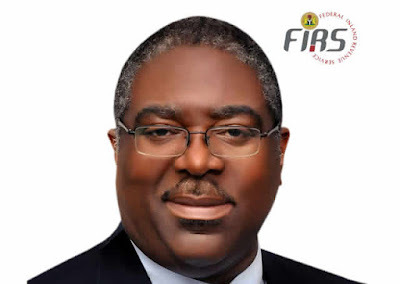 According to a letter written by the Executive Chairman of the FIRS, Tunde Fowler, to the Minister of Finance, Mrs. Kemi Adeosun, the amount realised in the first quarter of 2018 is N393.39bn more than what was generated in the first three months of 2017. In the letter entitled: ‘Brief on revenue projections performance for the period January to March 2018’, Fowler stated, “The analysis shows that we have so far collected the sum of N1,171,588,583,152.96 for January to March, 2018, which is 69.5 per cent of the total target to date. The Punch gathered that though the amnesty declared for taxpayers to regularise their tax status by paying all outstanding taxes and be free from prosecution and payment of interest under the Voluntary Income and Asset Declaration Scheme might have led to more taxpayers coming forward to pay, the scheme was not recorded to have contributed anything to the declared amount. The breakdown of the revenue collection shows that Petroleum Profit Tax collection rose by 91 per cent from N338.29bn in the first quarter of 2017 to N644.76bn in the first three months of this year; while Companies’ Income Tax grew by 30 per cent from N155.57bn to N202.16bn in the period under review. A total of N269.09bn was collected as Value Added Tax in the first quarter of this year, compared to N221.38bn in the corresponding period of last year, indicating a 22 per cent difference; stamp duty collection rose by N1.43bn from N3.08bn to N4.45bn; while Capital Gains Tax recorded a 179 per cent rise from N110.94bn in the first quarter of 2017 to N309.17bn in the first quarter of 2018. However, the education tax collections fell by N8.06bn in the first three months of this year to N25.87bn from N33.93bn in the first quarter of 2017. Similarly, the National Information Technology Development Fund levy suffered a nine per cent dip in collection as only N163.6m was generated in the first three months of 2018 compared with N179.17m realised in the first quarter of 2017; while the consolidated revenue had a shortfall of N931.37m from the N25.7bn recorded in the first quarter of last year to N24.77bn in the first three months of the current fiscal year. Fowler had disclosed in January that the FIRS collected a total of N4.03tn in the 2017 fiscal period. The collection, according to him, represents 82.38 per cent of the government’s target of N4.89tn for the year. The N4.03tn revenue was N720bn more than the 2016 total collection figure of N3.3tn. An analysis of the revenue collection performance indicated that taxes from non-oil sources accounted for 63 percent, while oil tax accounted for 37 percent of the total. Stamp Duty recorded the highest increase in performance with 94 per cent during the 2017 fiscal period.